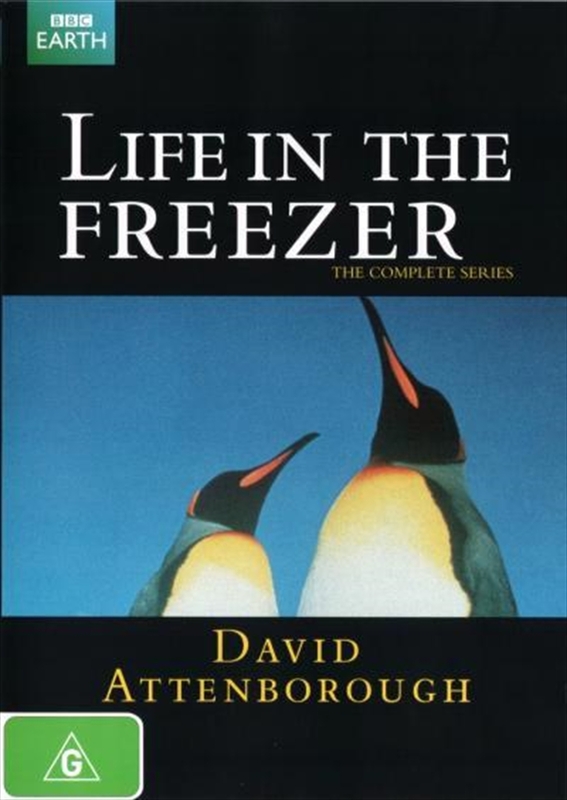 Life In The Freezer, David Attenborough Documentary DVD - On Sale Now With Fast Shipping! Antarctica is the wildest, coldest, most isolated continent on Earth. Covered and surrounded by 90% of the world's ice, it's 14 million square kilometres are doubled each winter by the freezing of the sea. The average temperature at the South Pole is -49 Centigrade, dropping to -70c and below in mid winter. Yet this inhospitable landscape is home to a surprisingly rich variety of wildlife, much of it unique to the region. David Attenborough and his 20-strong crew spent three years braving mountainous seas, 160kph blizzards, plummeting temperatures and glaciers the size of cathedrals, for this first complete natural history of Antarctica. Venturing into previously inaccessible territory, they used the very latest technology and techniques to capture on land and under water the glories of this magnificent continent. With more scenes of sheer beauty, passion, comedy, aggression and sadness than any drama, Life in the Freezer is an unmissable opportunity to experience the last true wilderness on earth.